The longest-running noontime variety TV show in the country has become the first and only local TV show to be franchised overseas. Find out how Eat Bulaga! opened its door to international franchising. 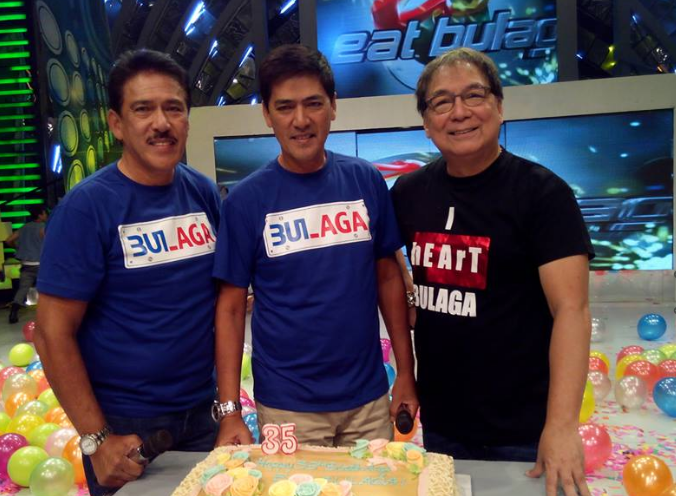 With 35 years in show business, Eat Bulaga! has mastered the art and science of keeping its noontime audience glued to their screens. It’s all about a careful balance of gags, games, song and dance, public service, and accessible glitz from the show’s hosts, led by Tito and Vic Sotto and Joey de Leon, and their guest stars. This is the merry mix that compelled Indonesia’s Surya Citra Televisi to buy the franchise of the Philippines’ longest running television show. The move made Eat Bulaga! the first Philippine TV show to be franchised globally. The deal earned TAPE Inc. chairman and CEO Tony Tuviera the Galing Pinoy Franchise Excellence award from the Association of Filipino Franchisers Inc. for creating the first international franchise of a Filipino show. Now, TAPE Inc. is fully sold on the franchise concept. It’s even looking at turning popular game segment “Pinoy Henyo” as a franchisable standalone show. TAPE Inc. is also hoping to announce more franchise deals this year as it banks on the Indonesian contract opening up opportunities. Still, TAPE Inc. doesn’t actively seek out franchise deals. “We don’t really sell Eat Bulaga! They [buyers] just come. We talk to them. If they come back, good. If they don’t, then we just wait for another opportunity,” says Ferre. The deal was a milestone because of the attention it brought to the country. “The deal gave the Philippines attention in the entertainment world as far as Asia is concerned,” Ferre adds. Eventually, Malaysia, Thailand and other countries will also look at the Philippines for entertainment options, she says. All these because of an Indonesian television executive’s hunch the show would work in her country. And it did, says Ferre, noting Eat Bulaga! Indonesia continues to rate since it first aired in July 2012. Translating Eat Bulaga’s brand of TV for the Indonesian audience was part of Ferre’s job. She was part of the team who cobbled together Eat Bulaga’s franchise bible. It included—in color and black and white—videos, the segments, the games, the mechanics, the format, and even the set design that helped the Indonesians put on the show. Like any franchisor, TAPE Inc. monitors its franchisee and suggests tweaks if needed. The Indonesians have leeway to come up with original segments, but subject to TAPE Inc.’s approval. “It has to be aligned with the character of the program. They can’t do anything they want,” says Ferre. One of the challenges for TAPE Inc., apart from the language difference, was developing the fee structure given that the deal was the first of its kind for a Philippine show. Ferre says TAPE Inc. took cues from foreign TV franchises brought to the Philippines. Based on the shows’ fee structure, TAPE Inc. decided to charge premium and nonpremium rates, as well as one-time and daily fees depending on the segments.